Hello Monday, so we meet again. I have a ton to get done this week and really need to hit the ground running.So, while I really wanted to post one of the millions of super funny "I hate Mondays" pictures I found, I decided to start the week on a positive note. This was the ONLY happy Monday pic that came up in my search. Luckily, it's pretty cute. Anyways, on to the meal prep! It's been a little chilly here (like high 50s, don't kill me East-Coasters) so I've been craving a hot, filling breakfast. 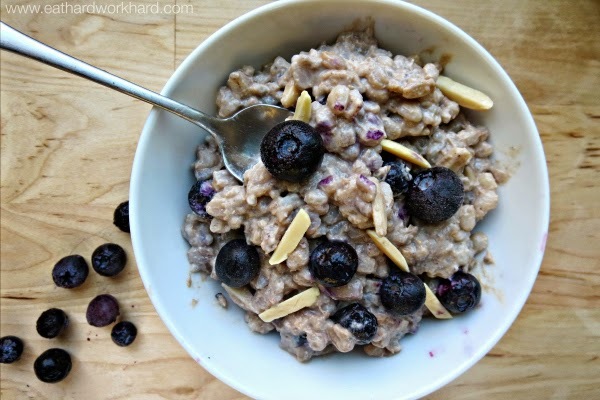 And even though you know I love oatmeal (click here for some recipes), I wanted to switch things up. Standing in front of the small grain section at Trader Joe's, I picked up the barley and though "hmm, would that be weird for breakfast?" So I decided to find out! Combine almond milk and barley in a medium sized saucepan. Bring to a boil (carefully, since milk boils over easily) over medium high heat. Turn heat to low and simmer, uncovered, for 20-25 minutes or until barley is tender and most of the liquid is absorbed. Stir in the rest of the ingredients until well combined. Turns out barley for breakfast isn't weird at all! 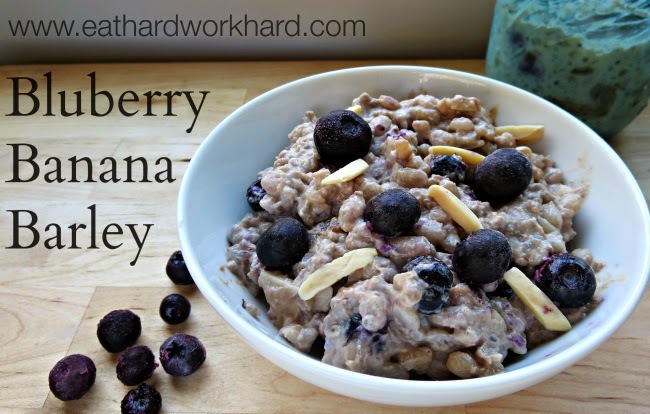 I love how hearty the almond milk-filled barley is, and the fruit and maple syrup add the perfect amount of sweetness without tasting sugary. Highly recommend for those not-quite Spring mornings, or for anyone who gets cold when it's less than 60. The Lean Green Bean's Greek Yogurt Chicken is one of my favorite chicken recipes. This week, I had the brilliant idea of trying to make a tofu version. I gave it about a 50/50 shot of being a total disaster. Surprisingly, it actually worked out! 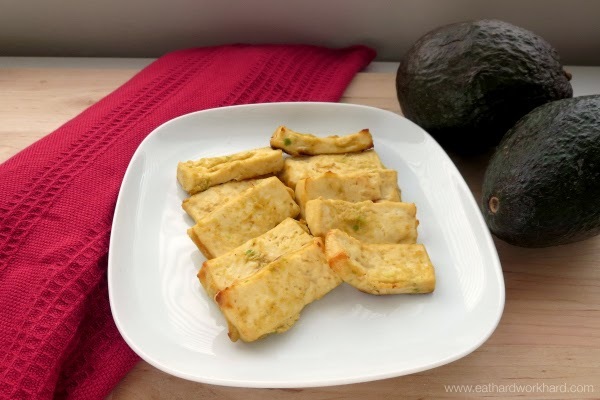 Place tofu on a plate lined with a couple paper towels. Cover with more paper towels, another plate, and place something heavy on top of the second plate. Press for at least 30 minutes.Cut tofu into about 1/2 inch thick slices. Mix together all the ingredients except tofu in shallow bowl. Dredge tofu slices through the Greek yogurt mixture to coat. Place tofu on a very well greased cookies sheet (full disclosure, one of mine was better greased than the other and the not well greased one stuck a lot). Bake for 25-30 minutes or until the tofu is firm and golden brown. This worked out really well, despite half the tofu sticking like crazy to the not very well greased baking sheet. The avocado and Greek yogurt form a nice crust and add richness to the crispy tofu, and the sriracha gives it a great flavor kick. Definitely a step above my normal plain baked tofu. Asparagus season is starting, which means it's cheaper and yummier than usual. I just tossed it with a little bit of olive oil and amino acids and roasted it at 400 degrees for about 10 minutes and it was super tasty! For some reason, asparagus and mushrooms seem to go together in my mind, so I chopped some mushrooms and cooked them the same way. 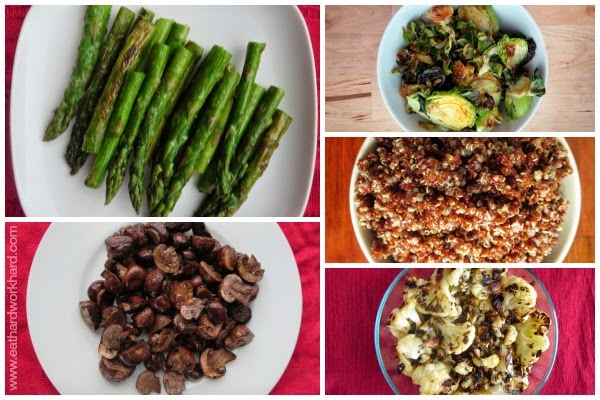 I also roasted Brussels sprouts and cauliflower, and cooked up some quinoa. I signed up for both women's and coed doubles beach volleyball rec leagues, and they start this week. 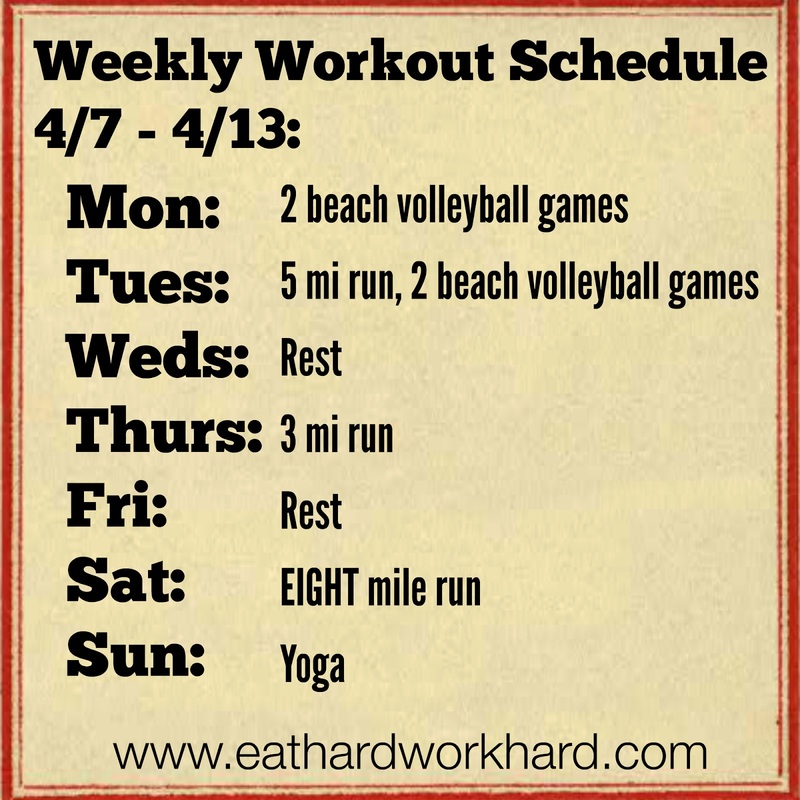 Great for being social, not so great for my 10 mi training plan. Hopefully throwing in an extra rest day will be enough. Q: Mondays, love em or hate em? Any tips for at least pretending to love them? 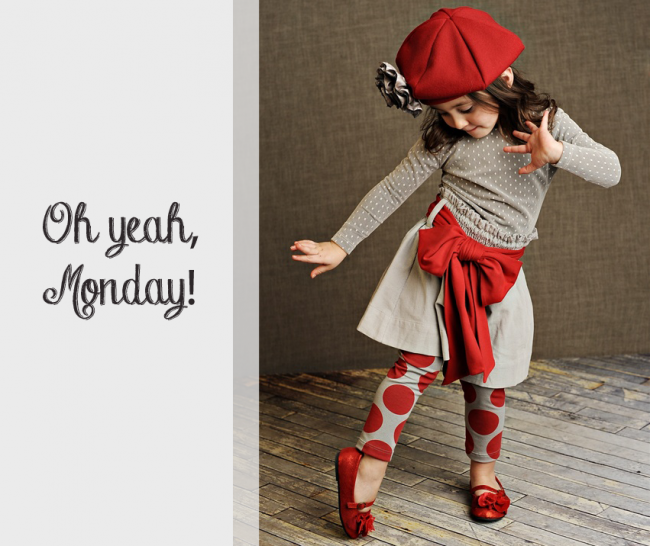 Aww, thank you for the laugh today from the little girl in that outfit! I can't wait for some fresh asparagus around here! Don't forget to link this up for Tasty Tuesday tomorrow! LOVED that pic! Hilarious, as I totally googled "monday jokes" this morning! Hmm I've never had barley, what does it taste like? I tried the barley recipe and LOVED it! Thanks for sharing, miss you!